You need new talent when startup and expand your business. Hire a high-quality candidate will definitely help to improve your business or help your business run smooth. However, it is not an easy task to find the best among a large population. 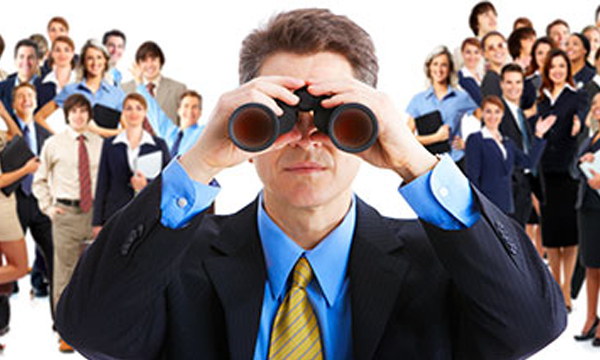 Here is some guidance to find the best possible candidates for your company’s open positions. Tapping your existing employee network is one of the methods to find high-quality candidates. Spread out information about the open position, job description and requirements. With any luck, your employee network will share the news with their qualified friends and bring you better talent than you could have otherwise accessed. To amplify your headhunting process, encourage your HR department to scour the trade groups you participate in. Since connections is essential in headhunting, trade group would be a good opportunity to expand connections and relationships. Trade groups attract a very specific group of people, they’re great places to look for candidates with unique skills or interests. This will cuts down the time you’ll spend headhunting and ensures you’ll find a better candidate faster and easier. Spread the word about your open position on your website. Write a well job description that will appeal to potential candidates. Consider hiring professional writers if you need assistance on writing attractive job description. The more you can make your job description exciting, the more likely it is you’ll attract well-qualified, engaged, interested candidates. Maintaining consistent contact to ensure these skilled applicants see your brand as an engaged and active employer. Simple ways to follow up such as follow up after an interview with email and creating an auto-response that thanks interested candidates for their applications are enough to show the active of your company. Headhunting is important when you need professional or skilled people to help in your business. Unfortunately, headhunting can be difficult, especially for inexperienced HR teams. Follow this four simple guidance to attract candidates you need. When you headhunt the right way, finding qualified talent is easier than ever. If you feel tired or no idea on headhunting, do visit our website (https://www.uwohoo.com/) and contact us. We always here to assist you in recruit tech talent.